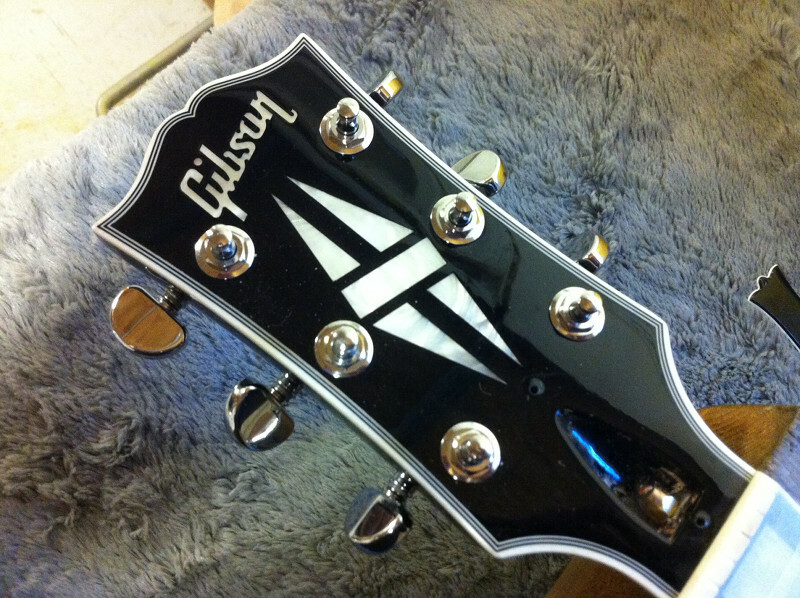 This Gibson Midtown Custom is now discontinued. It is essentially a ES335 with a reduced body size and a flat top in place of the traditional arched top found on the ES range. 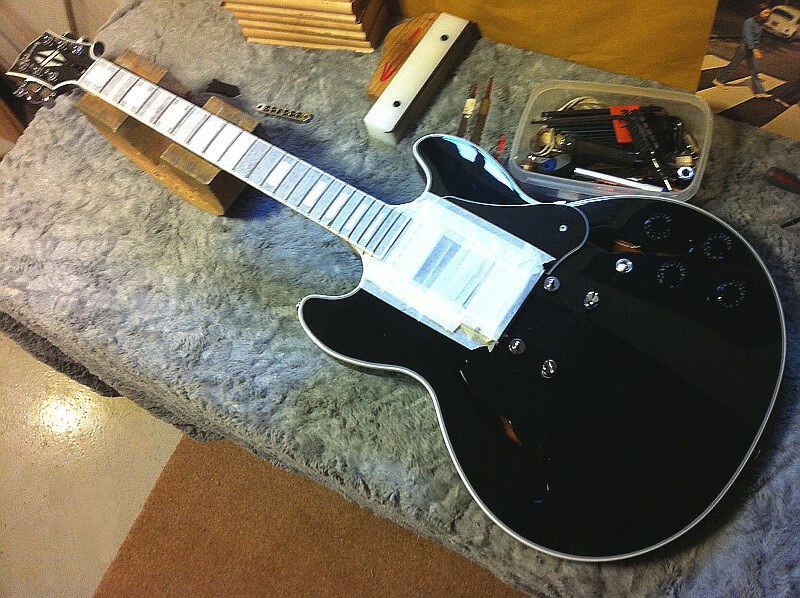 The action on this model was very high and the nut featured Gibson creative slotting technique – which renders most new Gibsons unplayable out of the box! 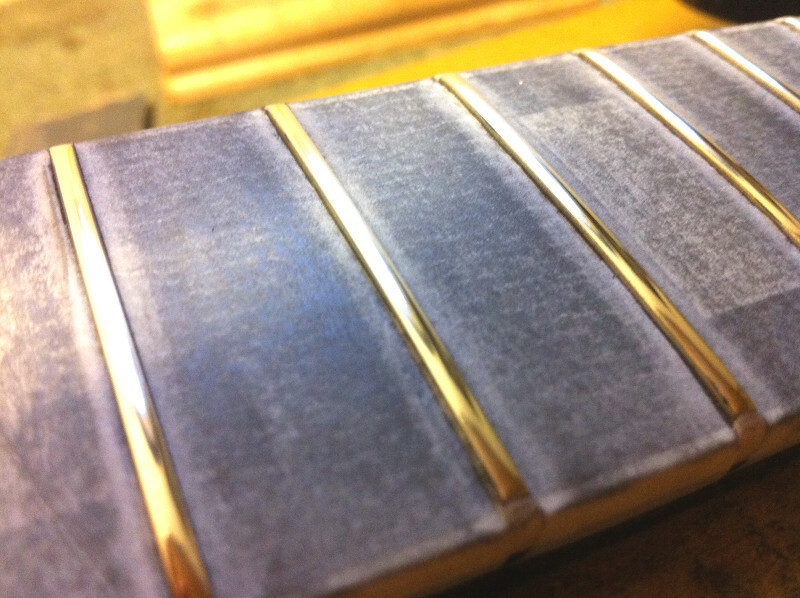 The neck had developed a hump between the 14 and 21st fret which needed leveling before the action could be lowered. 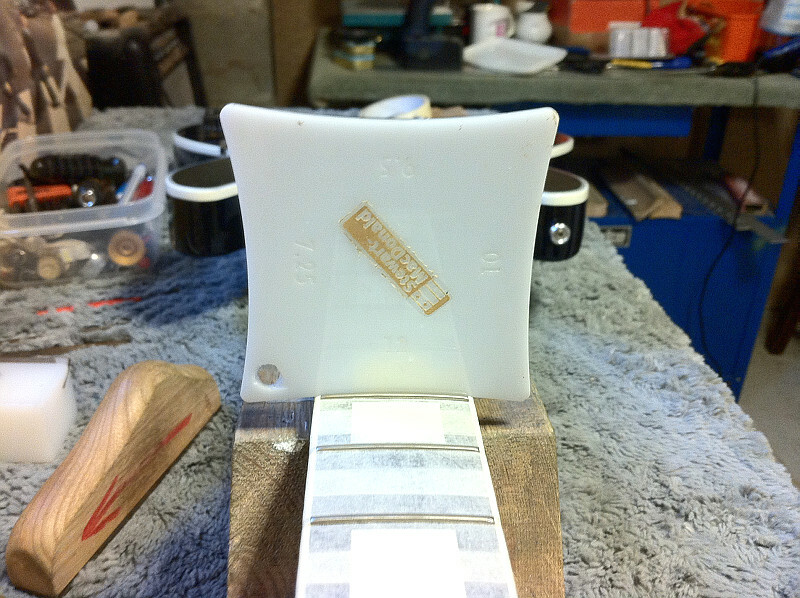 If you check the radius curve of all Gibson fingerboards you will find them to be 12″. 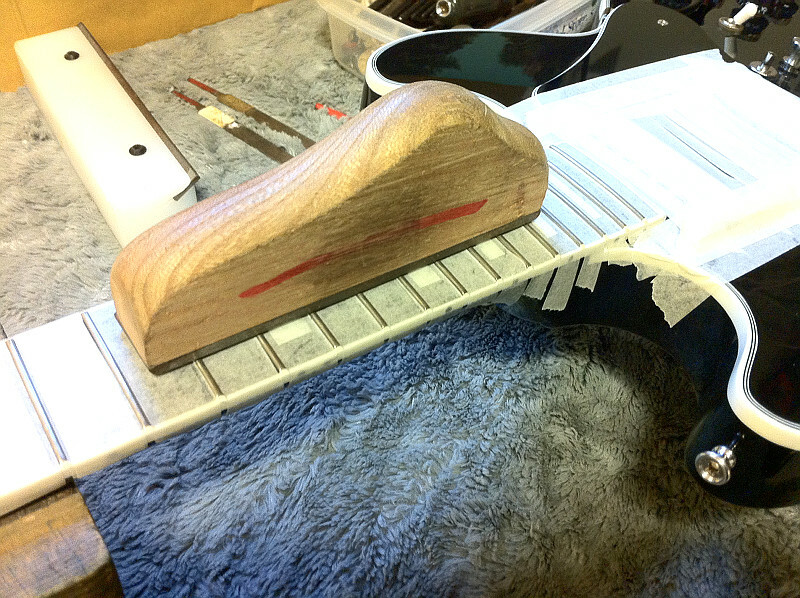 When leveling a fretboard it is important to keep the radius by using a radial sanding block.